Dean Hill has owned and operated the Dean Hill Agency, in Rockford, Illinois for over 30 years. As an independent agent he isn’t limited to just one company. Dean has the ability to compare several top-rated companies to find the best value for your auto, home, and other insurance needs. Dean has been working in the insurance business since 1983, and the financial services industry since 2000. 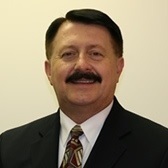 He specializes in helping you with your individual accounts and retirement plans through Northpoint Financial Group. Dean holds his Series 6 and 63 securities registrations and is licensed in Property, Casualty, Life, Health and Long-Term Care in Illinois and Wisconsin.